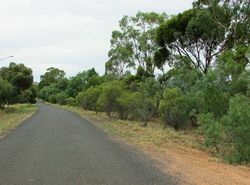 An avenue of 100 trees was planted to commemorate the centenary of Tomingley Public School. 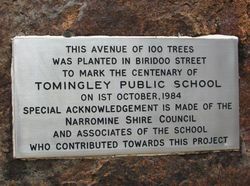 Tomingley Public School in the County of Narromine opened in October 1884. 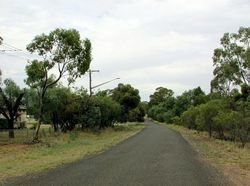 The school closed in December 1985.